Question: What was the name of the glacier which left the Hudson Valley, allowing for human settlement more than 10,000 years ago? 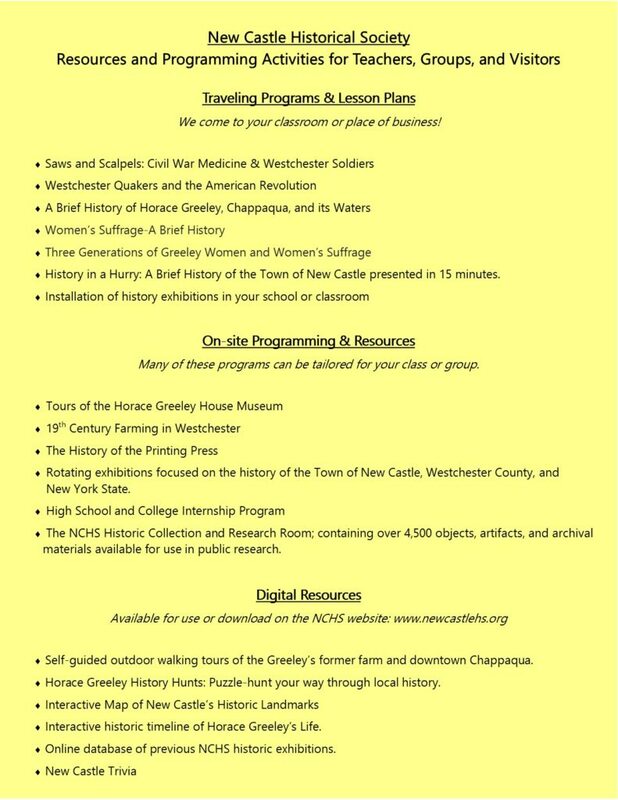 Learn more by visiting the NCHS’s core exhibition, The Story of New Castle, at the Horace Greeley House, Tues-Wed-Thurs-Sat, from 1 pm – 4 pm. New Castle Trivia, in collaboration with the Town of New Castle eNewsletter. 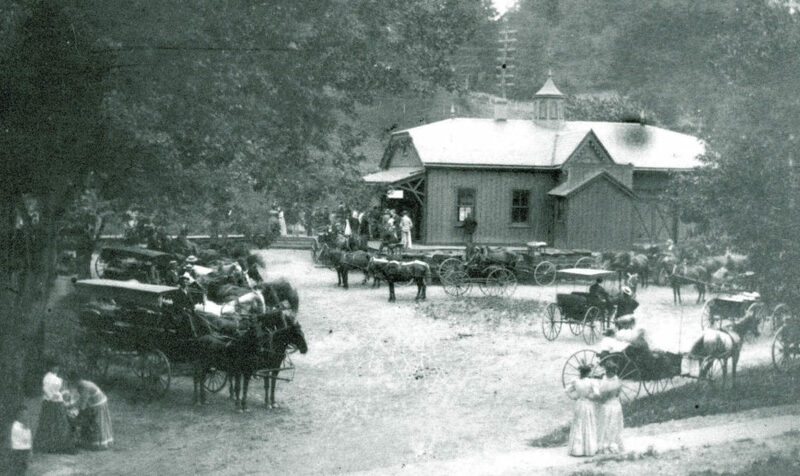 Question: In what year did the current Chappaqua Railroad Station open? Who donated the land to allow for its construction at its present location? Bonus question: The road leading to Chappaqua Station is named Woodburn Avenue. Who is it named after? 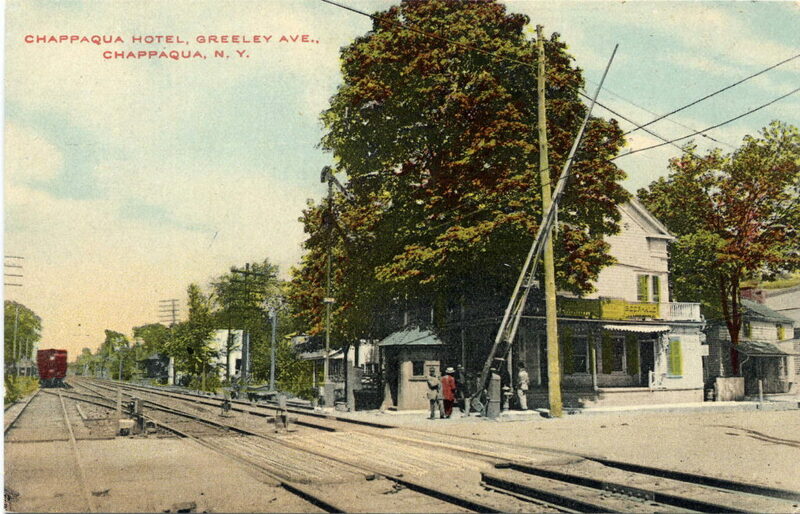 Answer: 1902; Gabrielle Greeley; Horace Greeley’s Mother, Mary Woodburn. 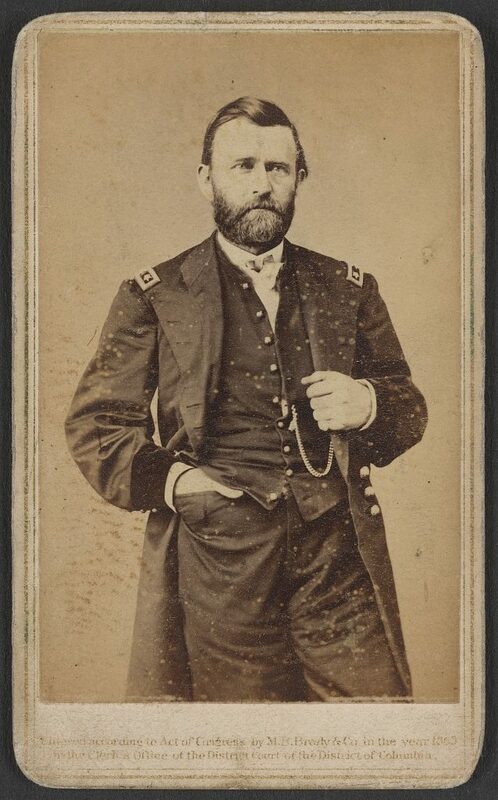 Who was Horace Greeley’s opponent in the 1872 Presidential Election? 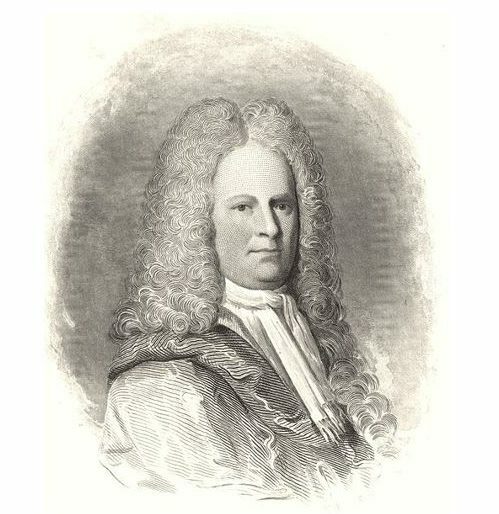 Who was the founder of Scarsdale Manor, and one of the partners in the Western Patent, which included the land that became New Castle? What was Gabrielle Greeley Clendenin’s nickname in Chappaqua? 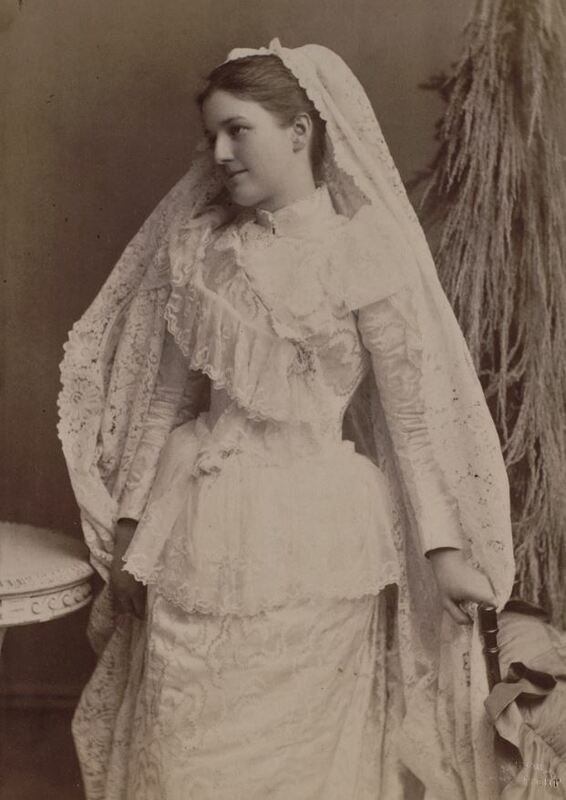 Gabrielle Greeley in her wedding gown, 1891. 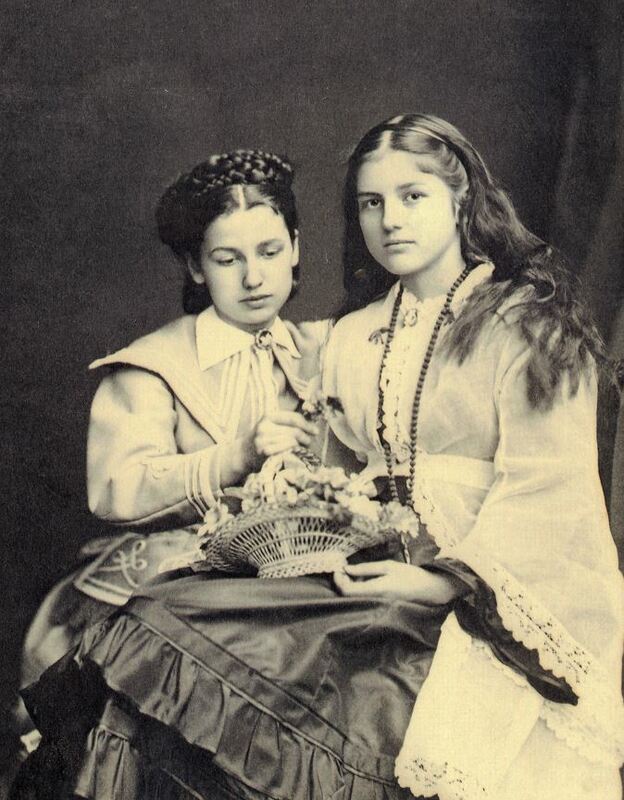 What were the names of Horace Greeley’s two daughters? 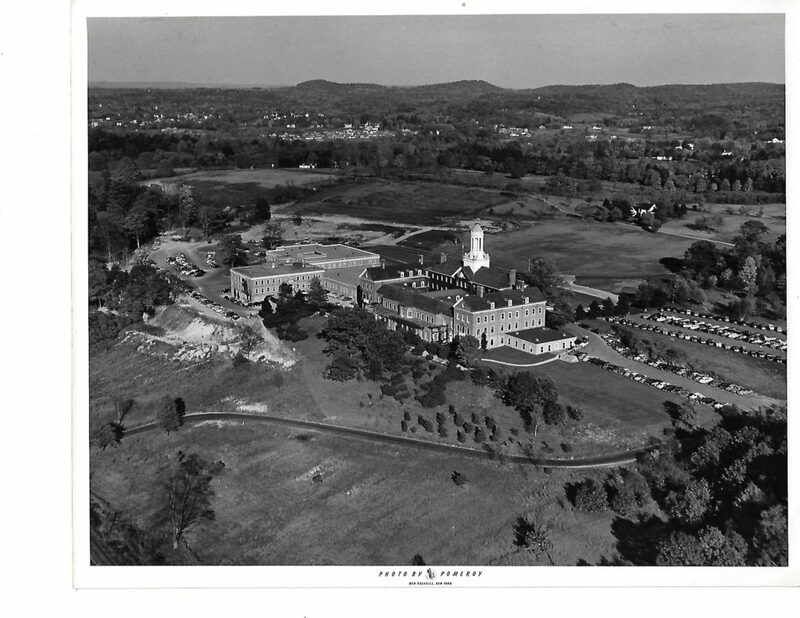 Question: What company established its national headquarters in Chappaqua in 1938? 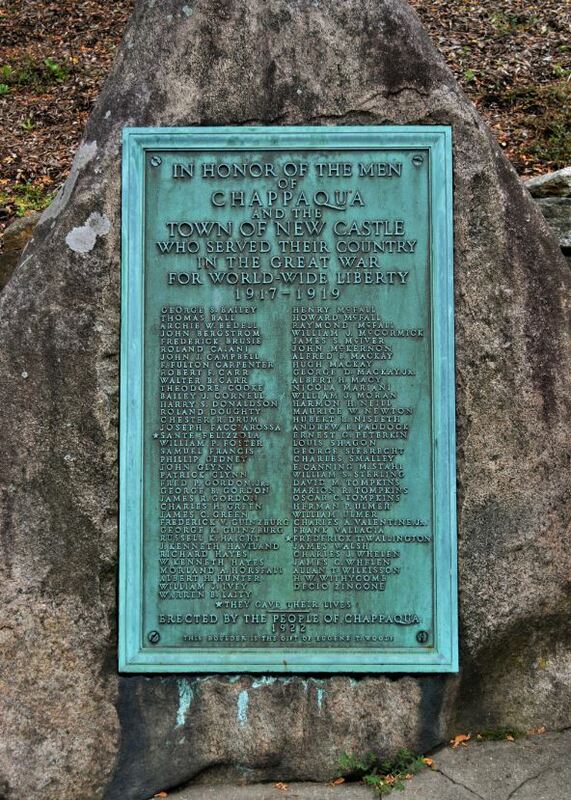 Question: How many New Castle men enlisted in the United States Army during World War I? Question: By the late 1800s, New Castle’s agriculture became less profitable, and more and more local farm owners became inclined to sell and move out. There were also potential buyers—affluent New York City businessmen seeking to acquire country estates. These homeowners, who often located their mansions on high ground with long vistas, were familiarly given this nickname. Historic Photo: Around 1898, NYC banker George MacKay bought a large farm near the crest of the hill on Whippoorwill Road, where it crosses from New Castle into North Castle. It was the original homestead of the Quinbys, who were among the town’s original Quaker settlers. 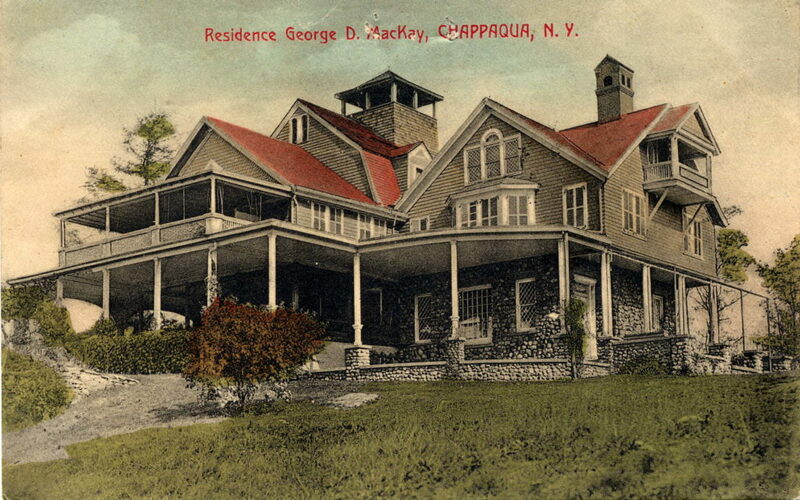 McKay transformed the farmhouse into a rambling, shingle-style summer home for himself, his wife, and their four sons and two daughters. He also built or adapted many of the other buildings on the property to create After Glow Farm, a complex that was at once a gentleman’s estate and a working farm. Question: In what year did the railroad finally come to Chappaqua? And then to Millwood? 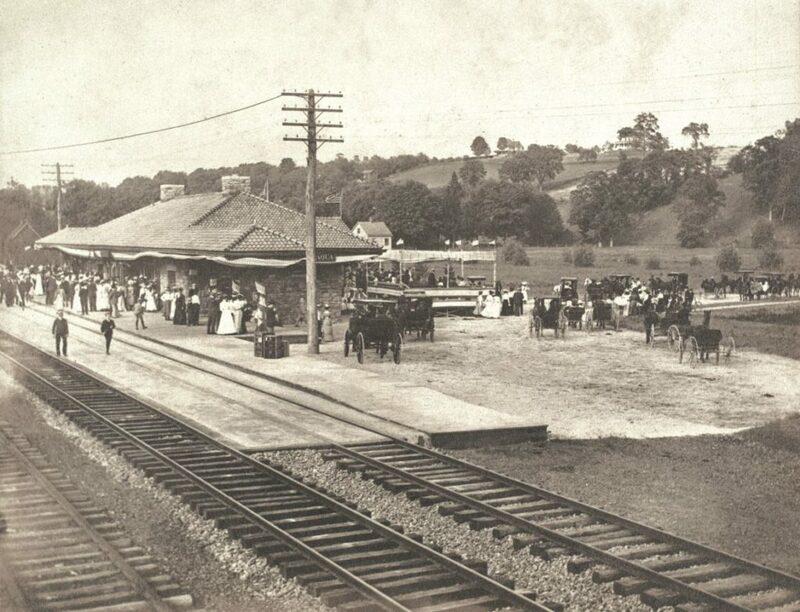 1870 Chappaqua Passenger Station in the background. 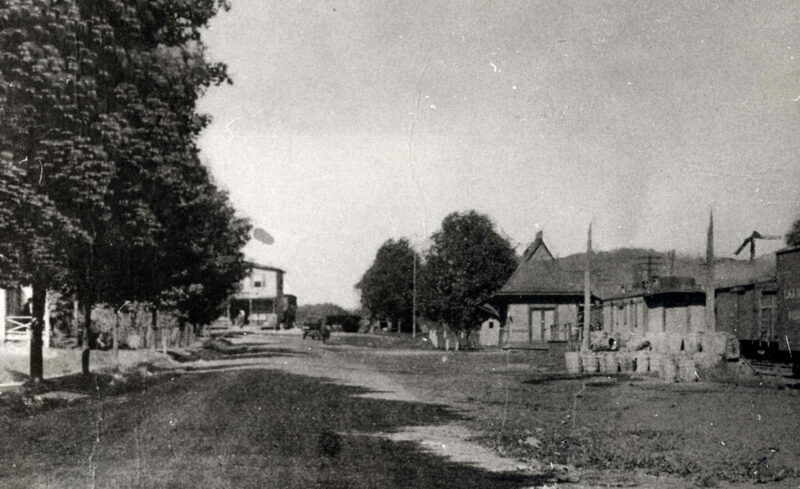 Railroad crossing in Chappaqua, early 1900s. 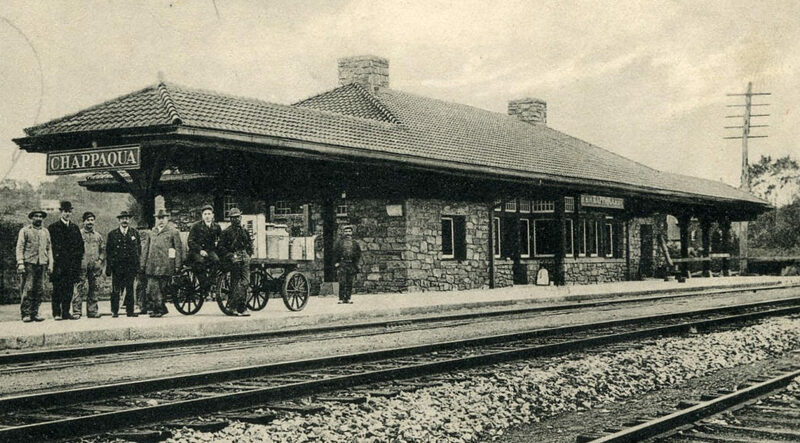 The new Chappaqua Railroad Station, dedicated in 1902. Your support of the New Castle Historical Society is crucial for us to continue our work of preserving New Castle’s history for future generations. 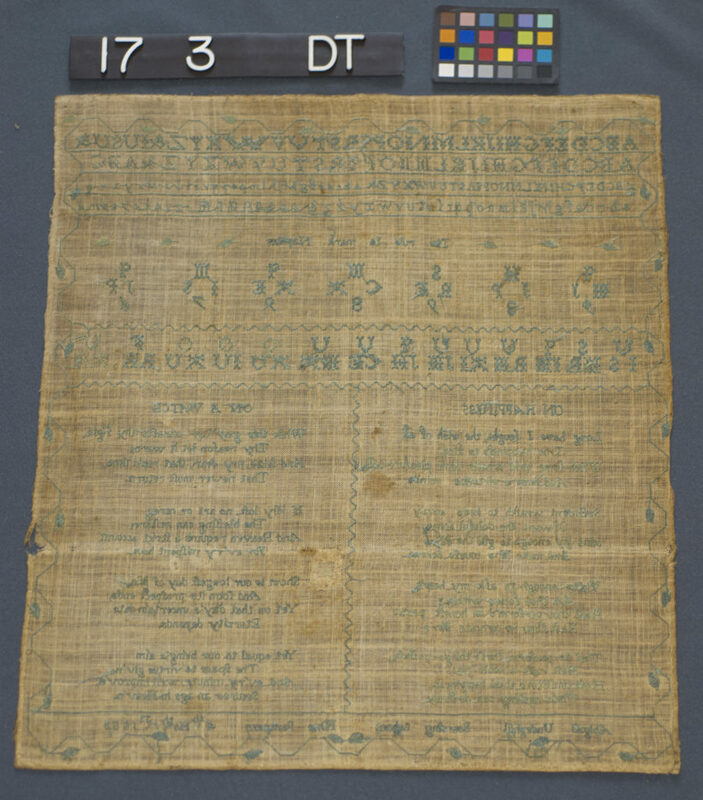 Your membership gift enables us to take on preservation projects, such as the conservation of a rare American Sampler, created by New Castle resident Abigail Underhill in 1800. The above sampler is considered rare due to its excellent condition and age. The NCHS was able to conserve the sampler through generous funding from our members and grant funding from the Greater Hudson Heritage Network Conservation Treatment Program. 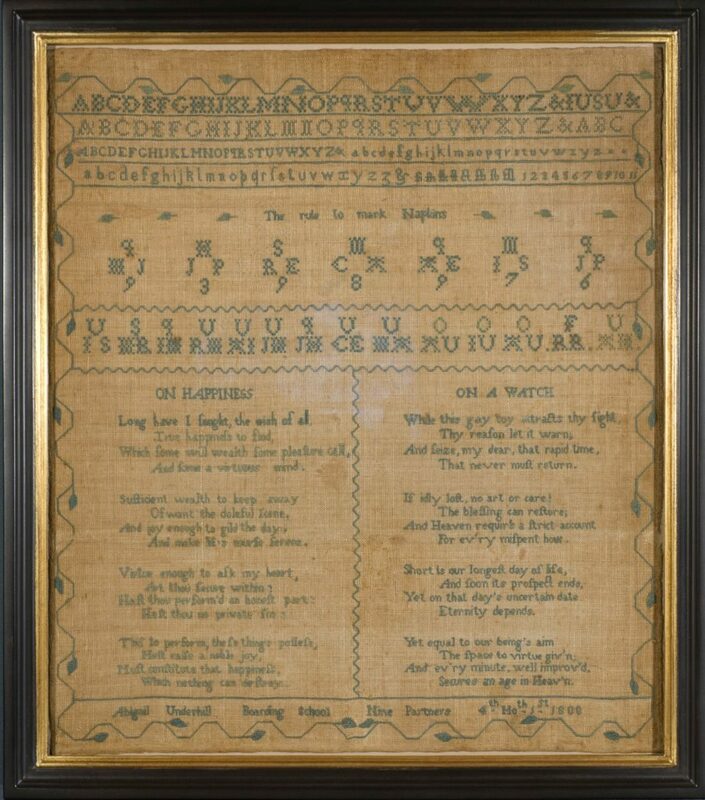 The maker, Abigail Underhill, created the sampler while she attended the Nine Partners Boarding School in 1800. The school, located in Dutchess County, opened in 1796 to serve Quaker families in the area, and was New York’s first co-educational boarding and day school. The Textile Conservation Workshop, located in South Salem, New York, completed the delicate conservation of this exquisite piece. and to make these objects available for public research and viewing. Not only do we utilize these historic artifacts for research, but we also share them with our visitors by displaying them in rotating exhibitions and education programs. Due to your generosity, and funding through several grant programs, we’ve been fortunate to conserve dozens of books, ledgers, and paintings over the past decade alone. In addition to the conservation of these smaller historic objects, the historical society also manages a member-funded program to preserve and conserve all of New Castle’s local family graveyards. In the next two years, the historical society plans to conserve Horace Greeley’s umbrella, several historic letters, and a memorial book presented to the Greeley Family by the Common Council of the City of New York upon Horace Greeley’s death in 1872. In addition to these conservation projects, we plan to begin the process of digitizing our 1,000+ historic photograph collection—with the ultimate goal of making these available to the public through an online database. We hope you will consider joining or renewing your membership in the historical society today—as we advance our pursuit of preserving local historical treasures, large and small. Resources and Programming Activities for Teachers, Groups, and Visitors.